Mercedes-Benz knows how to create a model all Alpharetta drivers desire, and the new Mercedes-Benz E-Class sedans are no exception. These models, with their rugged exterior and refined interior, captivate drivers across Georgia with a look they’ll never want to leave behind. Coupled with all the latest safety features, such as multi-angle camera view and DRIVE PILOT, as well as impressive turbocharged engines, there’s nothing this model doesn’t offer John’s Creek drivers. Explore more about this new luxury model at RBM of Alpharetta today. 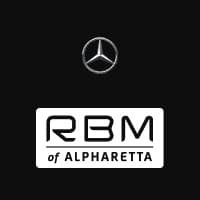 RBM of Alpharetta is proud of our selection of new Mercedes-Benz E-Class sedans to choose from. In addition to pricing our vehicles to sell, we also offer great vehicle specials. Visit our dealership today at 345 McFarland Parkway or contact us online or at 678-637-2333 to learn more about our financing options or schedule a test drive of our attractive and must-have vehicles.